Staff photo by Erin O. Smith / Craig Fitzhugh speaks at an April rally in Grundy County. Tennesseans have two very strong Democratic Primary contenders for governor. The state also has four solid Republican Primary contenders. In the perfect world, Tennessee's General Election voters in November will go to the polls to choose between Democrat Craig Fitzhugh and Republican Beth Harwell for governor. We say it would be the perfect choice because either Fitzhugh or Harwell would make effective governors — governors in whom we believe Tennesseans could take pride. Fitzhugh, our favorite, is a 68-year-old, Ripley, Tenn., lawyer turned banker who has represented House District 82 in West Tennessee for the past 24 years and is House minority leader. Harwell, 60, was first elected to the Tennessee House of Representatives in 1988 and is now the speaker of the House. Fitzhugh is dedicated to the expansion of Medicaid, approving medical marijuana, common-sense gun regulation and education — especially early childhood education. He advocates the late Gov. Ned Ray McWherter's formula for state success: Roads plus education equals jobs. Fitzhugh adds broadband to the equation. Harwell also supports a "well-regulated medical marijuana law, and improved treatment for opioid addiction. She does not support Medicaid expansion. Unlike Fitzhugh, she says she would sign into law more restrictive abortion measures if lawmakers pass them. "I've worked with her for years, and I think she's the most competent [among the GOP candidates], Fitzhugh said of Harwell. "I think she would be my toughest opponent." We've heard some say that Democratic contender Karl Dean, 62-year-old attorney, former public defender and former two-term mayor of Nashville, might have a better chance against any Republican candidate come November. We disagree. It's true that Dean has the money advantage and the "city" advantage. But Fitzhugh has personality. He's never met a stranger. He understands rural as well as city. His family story includes a father who worked his way up from being a janitor at a bank to running a bank. Fitzhugh can also play the veteran card. 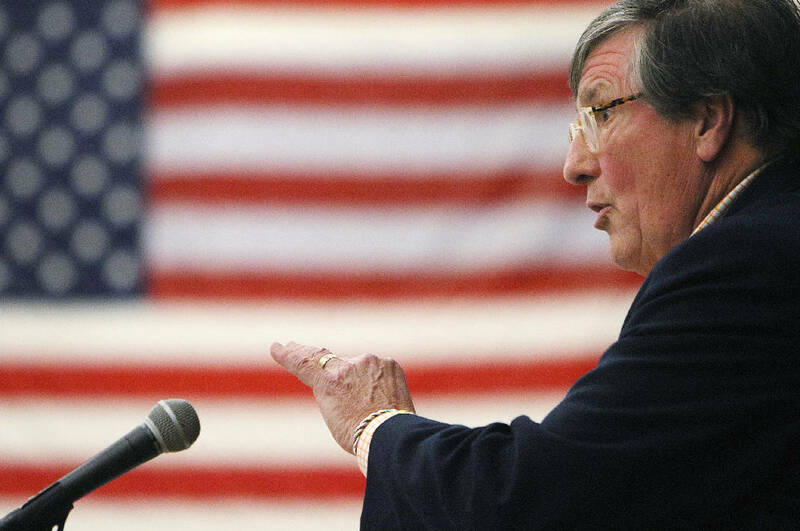 The Nashville Scene terms Fitzhugh's candidate advantage "folksy charm." "Dean has a lead in early polling, a lead in name recognition and a significant lead in fundraising. But Fitzhugh has a lead in something else — general goodwill," the Scene wrote Thursday. But that folksy charm doesn't make Fitzhugh a lightweight. He isn't afraid of sharp debate, but he keeps things business-like and keeps ready a smile and handshake to seal the dialogue. He's focused. He's pragmatic. He's real. On the Republican side, it's widely thought U.S. Rep. Diane Black, 67, has the lead for the GOP nomination. Judging from Randy Boyd's recent campaign ads that go for Black's jugular, the 58-year-old Knoxville businessman and the former head of the Tennessee Department of Economic and Community Development, thinks so, too. Franklin businessman and farmer Bill Lee, meanwhile, touts his "outsider" experience, along with his strong religious faith. Again, borrowing from the Nashville Scene: "Tennessee values" is a catch phrase that the Republicans trot out regularly as they stump — along with lines to indicate their undying admiration for president Donald Trump. "The primary campaign has been going on for nearly 16 months, and there's still not much to distinguish the four white millionaires, who vary little on policy," the Scene writes. "So in a state in which Donald Trump still remains unfathomably popular, each candidate is spending millions trying to prove that they're the person most like — and liked by — the president." We'll stick with the very real Craig Fitzhugh, who is solidly living and demonstrating Tennessee values, even as he is running slightly to the left of Dean, who seems to be trying to outrun his reputation as an urban Democrat. Fitzhugh recently sent out mailers proclaiming himself "a Democrat who isn't scared to be one." That alone should get Craig Fitzhugh your vote.